After spending one year as the UW-Oshkosh men's volleyball Division II head coach, Alex Harty (2014-2017) will pace the sidelines for the Division I team during the 2019 season. He will also serve as the Titans program director. Harty replaces Will Brydon who stepped down at the end of 2018 to dedicate more time to his family. Last season Harty mentored the Division II team to the Wisconsin Volleyball Conference regular season title and state championship; as well as an appearance in the National Collegiate Volleyball Federation Division III national semi-finals. His coaching resume includes being the Winneconne High School girls head coach last season (23-11 record), one year of being an assistant coach at Waupun High School where they made a WIAA state appearance and helping conduct approximately 50 camps throughout the summer. He also coached at Winneconne High School for three years in different roles before becoming head coach. 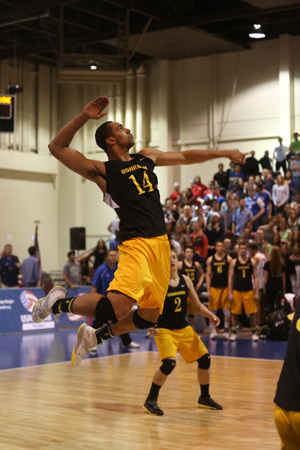 As a player for UW-Oshkosh, Harty was a member of the 2015 NCVF Division III national runner-up team and the 2016 and 2017 fifth-place teams. From 2015-2017 the teams also won the WVC Division II regular season and state championship titles. Individual accolades included being named the 2014 WVC Division II Libero of the Year, a 2014 and 2016 WVC Division II First Team selection and a 2014 and 2016 placement on the WVC State Championship All-Tournament team. He was a 2017 team captain. Harty graduated in May of 2018 with a bachelor of science in nursing. He is currently working as a register nurse in Fond du Lac. Harty originally hails from Racine and attended St. Catherineâ€™s High School.